Sheesh. Where did January go?! 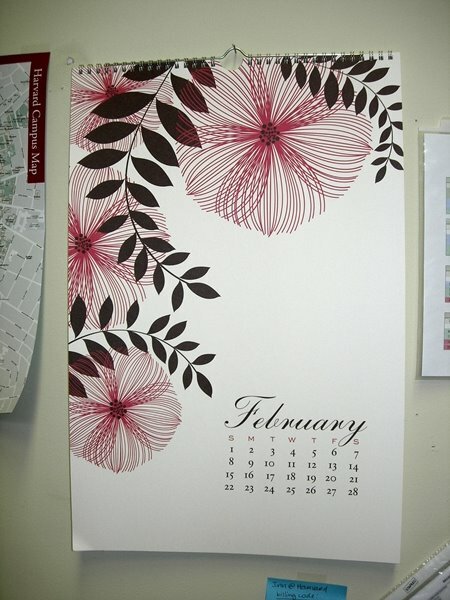 Well, a nice thing about it being February is that I get to look at this pretty picture on my calendar at work now. Thanks, Elissa! I guess it’s also nice that we’re a little tiny bit closer to spring, although you would never be able to tell that by looking out the window right now. It’s like 10 degrees outside and I think it’s been snowing since 9 am today. Enough of the white stuff already! Yaktrax! Have you ever heard of these? When I emailed her about the crazy amounts of snow we’ve been getting, she mentioned these but I have never heard of them. And ta-da! Now I get to try them out. Sweet! I was slip sliding all over the place on the walk home tonight so these should be helpful tomorrow. Although, I am a little worried about how dirty they’ll get. Hmmmm … anyone else out there tried these yet? On a crafty note … I went to a “shoebox” crafting party at Liz’s house on Sunday and had so much fun! There were six of us total and we each brought a small project (plus all the tools and supplies needed) for everyone to make and take home. 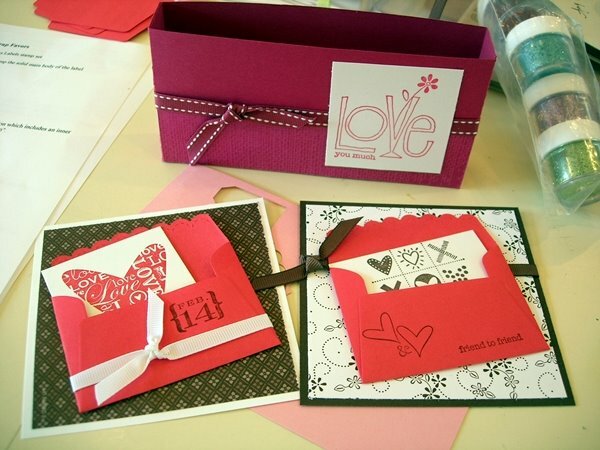 The theme was Valentine’s day cards but I added a little twist to mine and made favors instead. I got the idea from Nichole Heady’s blog so I cannot take any credit for coming up with this idea at all. 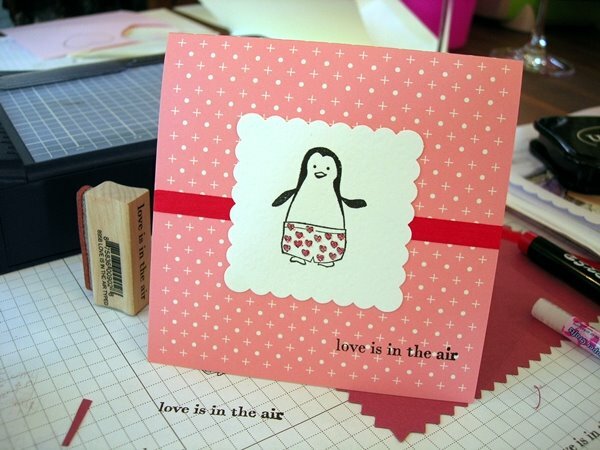 I just think that it’s such a great way to use Avery labels and Papertrey Ink’s “limitless labels” stamp set. Wanda gave us the stuff to make this cute card. I changed it up a little and used Liz’s “s.w.a.k.” stamp in the middle. 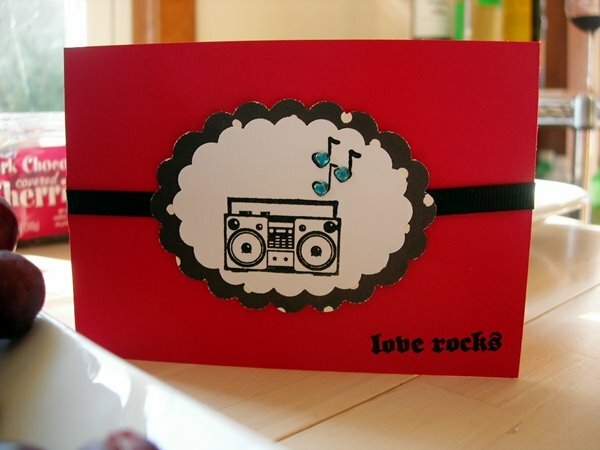 Liz’s card was rockin’ – literally! 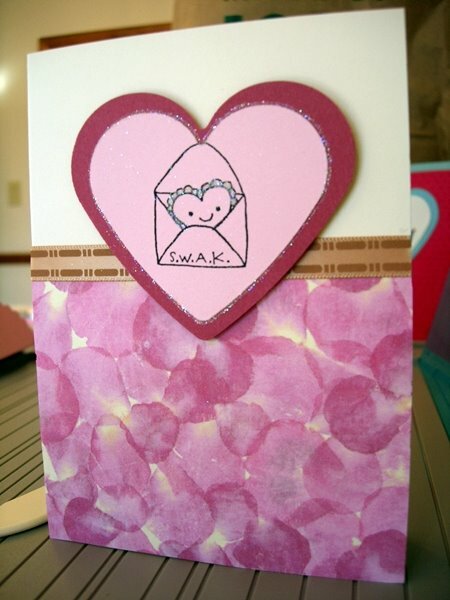 I love how her card is masculine enough to give to a dude for Valentine’s day. I love the shorts on this penguin! Tara’s card had us glittering up his boxers – too cute! Amy’s Stampin’ Up! cards were pretty awesome! Note to self: get these die cuts!! Okay, gotta go work on that knitted baby sweater! 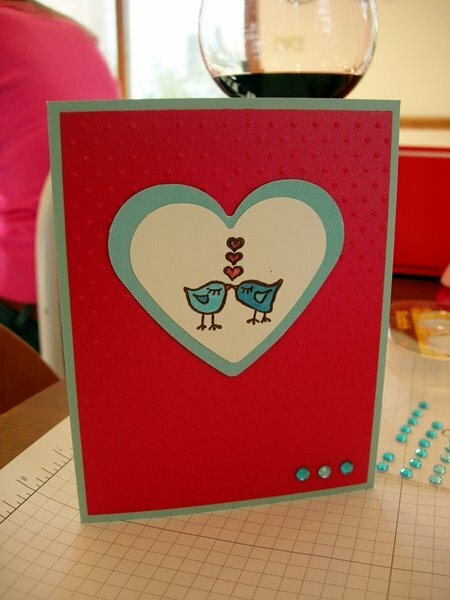 This entry was posted in cards, party, shoebox, yaktrax by shortcakescraps. Bookmark the permalink.